WASHINGTON (Sputnik) - The Russian Embassy in the United States expressed its gratitude to US citizens who extended their condolences over the death of a Russian pilot in Syria's Idlib province. 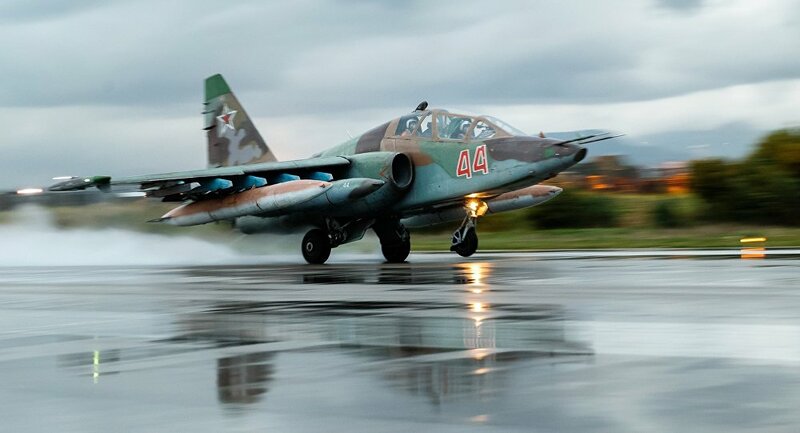 On Saturday, the Russian Defense Ministry said that Russia’s Su-25 aircraft was downed by a MANPAD portable surface-to-air missile in Idlib, within an area controlled by the Jabhat al-Nusra terrorist group. "We want to thank all American citizens sending us their condolences on the death of a Russian fighter pilot who was killed in action against terrorists in Syria. This tragedy has once again proven that there are people in the U.S., who realize the necessity of fighting common evil together," the embassy's statement, published on Facebook, read. The deadly incident took place on the territory controlled by the Jabhat Fatah al-Sham terror group amid an ongoing military operation against them conducted by Syrian forces. Russian pilot was killed in a fight with militants in the area after ejecting himself from the downed aircraft. The Tahrir al-Sham terrorist group, linked to former terrorist al-Qaeda branch in Syria, claimed responsibility for the downed Russian combat Jet. The Russian Defense Ministry said earlier that dozens of terrorists had been killed as a result of Russian forces' high precision strike in the area from where the MANPAD projectile was launched. The Su-25 attack aircraft is designed to destroy small-size mobile and fixed ground objects, as well as low-speed air targets. During the two-year-long military operation in Syria, Russia has lost four airplanes and four helicopters.